With all the ‘friend-love’ that we have in our hearts, we celebrated Friendship day a few days ago. 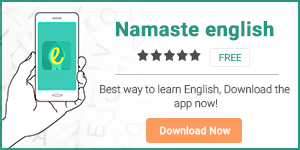 लेकिन उन दोस्तों का क्या जो जरूरत में साथ नहीं निभाते? Let’s take a moment and learn something more about a FRIEND. Don’t worry, I’m not here to lecture you about true and not-so-true friends. I can’t tell you how to recognize these two kinds of friends, but I can tell you what to call them when you do. As for me, there is no better friend that knowledge. Let’s learn a few idioms that are often used to depict different kinds of friends. Meaning: Persons who are similar in so many ways that they naturally spend time together and become friends. Meaning: To have similar interests and quickly become good friends. Once again, this idiom refers to almost similar people. They get on quite well and fast. Meaning: Two very close friends who are very loyal to each other. आपका वो मित्र जो आपके हर राज़ को जानता हो और हमेशा आपसे loyal friendship यानी वफादारी की दोस्ती निभाए, तो कहा जा सकता है कि you two are thick as thieves. Meaning: To want to stay on friendly terms with both sides in a quarrel. These kinds of friends play for both the teams. Meaning: One should be on one’s toes and alert of one’s surroundings if malicious people are around, to ensure that they cannot wreak havoc in one’s life. In a way, if you keep your enemies close, you’ll know what they are up to and can avoid any kind of harm that they might plan. Meaning: A friend who helps out when we are in trouble is a true friend.